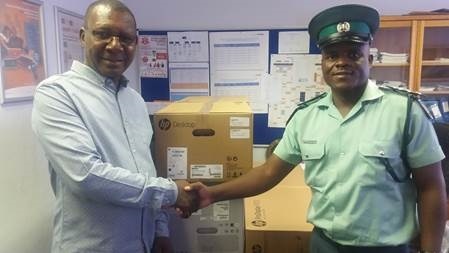 Telecom Namibia has donated two computers and two printers valued at N.dollars 30 500 to the Hardap Correctional Facility. A media release issued on Tuesday said the computers will be used in the education division for inmates’ learning in computer literacy studies and to facilitate and enhance educational activities at the facility. 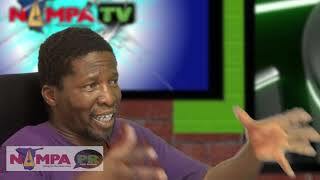 The statement quoted Deputy Commissioner Leonard Mahundu, Officer in Charge of the Hardap Correctional Facility as saying that 50 inmates are enrolled in the educational programme and that they have difficulty achieving their educational goals, due to a lack of educational materials and equipment. “The overall objective of the offender education programme in the Namibian Correctional Service is to address in an innovative way the educational needs of all offenders as identified through the educational assessment process,” Mahundu noted. He said this forms an integral part of the overall rehabilitation strategy and that through the donation, the education officers would be able to provide the offenders with a conducive study environment. 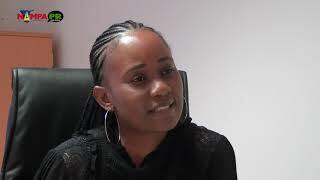 Oiva Angula, Head of Corporate Communications for Telecom said it is important to empower the youth in conflict with the law with education through development support, in order to enhance their rehabilitation process and opportunities for sustainable social and economic reintegration upon release, parole and probation. The Hardap Correctional Facility is located outside Mariental.